We’ve put together the ultimate A-Team, a collection of expert practitioners who are all recognised specialists in their ﬁeld, and together we’re able to oﬀer you support across the complete range of orthopaedic and sports injury issues. As well as Membership of their own statutory governing body, and adherence to a strict code of professional and ethical conduct, each member of our team is also completely committed to continued professional development. 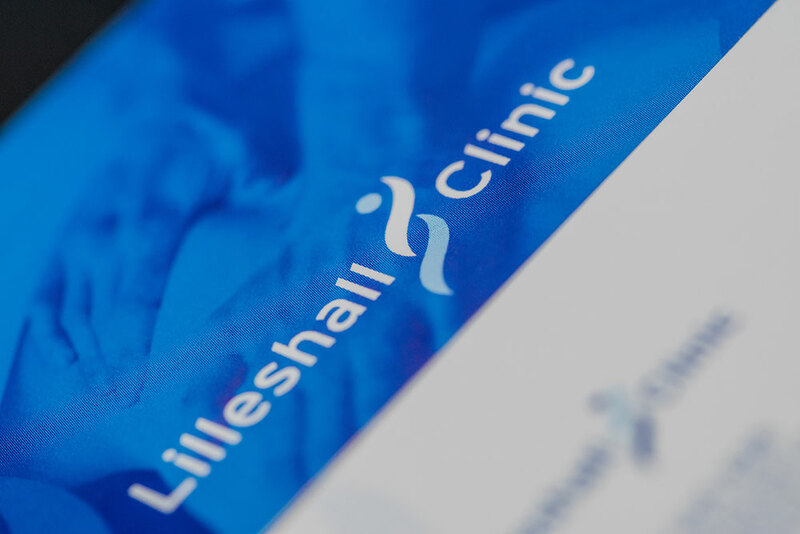 Which means they’re the very best at what they do, and they work hard to stay there, keeping abreast of all of the latest developments and treatments so that they can bring these to you here at The Lilleshall Clinic. Jamal leads the team here at The Lilleshall Clinic and brings phenomenal expertise at the very highest levels of elite sport. He started work with British Gymnastics and went on to become the Head of Physiotherapy for the English Institute of Sport in the West Midlands, as well as Head Physiotherapist for the Archery GB team. Over the last 13 years he’s attended multiple Olympic and Commonwealth Games, as well as numerous World and European Championships as Team Physiotherapist. His special interest is in sports injury prevention, treatment, and rehabilitation, and he is passionate about bringing elite expertise and standards to each and every one of his clients. After qualifying as a Chartered Physiotherapist from Keele University in 2001, Nicky worked across the NHS, private clinics, and elite sport. She supported the GB Archery team and attended the 2008 Beijing Olympic Games as their physiotherapist, and has since gone on to complete additional training in Pilates, acupuncture, and chronic spinal pain. Nicky’s specialist area is treating acute and chronic musculoskeletal injuries. Outside of the Clinic, Nicky is married and a mum to two energetic young children. She enjoys running, dancing and doing yoga to restore some calm! A Keele University graduate, Rob qualified as a Chartered Physiotherapist in 2000 and underwent additional training to become a Strength and Conditioning Specialist, as well as a BAWLA Weight Training Instructor. He joined our team in 2007 whilst working with the Wolverhampton Wanderers FC team, and now heads up the Medical Services team at Crewe Alexandra FC. Truly passionate about sports medicine, Rob has provided event cover for the London Marathon and the Manchester Commonwealth Games, and is currently completing his Masters in Advanced Manipulative Physiotherapy at the University of Birmingham. Claire qualified as a Chartered Physiotherapist at the University of East Anglia. Prior to this she completed a Sports Science degree whilst also a member of the University of London Air Squadron (where she flew solo in a Royal Air Force aircraft!). Claire has a strong background in acute and chronic musculoskeletal and complex trauma military rehabilitation, with a special interest in the lower limb. She has worked extensively as a team leader and clinical specialist in Armed Forces rehabilitation, including at the Defence Medical Rehabilitation Centre Headley Court, at Regional Rehabilitation Unit level and in Primary Care Rehabilitation Facilities. Claire also has varied experience supporting elite sport at international level. She has been the lead physiotherapist for the Great Britain Para-Ice Hockey team, supported para Alpine athletes, worked as a physiotherapist at Henley Royal Regatta and supported Royal Air Force and UK Armed Forces Rowing. As well as enjoying her time working in the Lilleshall Clinic team, Claire also now works for the English Institute of Sport as a physiotherapist for the Great Britain Boccia team. Claire enjoys swimming, rowing, skiing and cycling, though her 2 young daughters and husband keep her very busy! Matt has been working in elite sport for 23 years initially starting in coaching and then in 2006 completing his physiotherapy degree from Nottingham University. Since then he worked briefly in the NHS but mainly for the MOD and within elite sport. Matt has been involved as a Physiotherapist at the Paralympic and Olympic Games with different sports and currently is the Head Physiotherapist for Archery GB Olympic & Paralympic athletes leading into the 2020 Games. Matt is also a qualified Strength & Conditioning coach (UKSCA) and has a particular interest in upper limb injuries. He enjoys spending quality time with his three little ones and if there is any time left he gets on his bike and goes up mountains! Dr Richard Collins is a Sport & Exercise Medicine Specialist who is experienced in the assessment, diagnosis and management of Sport Injuries & Musculoskeletal disorders. He joined the Lilleshall Clinic in 2018. Richard has other roles as a Sport Physician for the English Institute of Sport in Lilleshall providing care to British Para-Archers and Gymnasts. He is also Lead Musculoskeletal Physician for the NHS Bedfordshire Community MSK Service. He is active within the UK Faculty of Sport & Exercise Medicine as well as the British Association of Sport & Exercise Medicine where he is the current Chair of Education. Dr Collins is expert in the practice of Musculoskeletal Ultrasound which he incorporates directly into his clinical practice both for diagnostic purposes as well as to guide injections. This enhances the understanding of what is causing particular conditions as well as ensuring the accurate and safe placement of any required injections. Caroline qualified from the Oxford School of Sports Massage and is a member of the ISRM. She joined the Lilleshall Team in April 2018. Very much a people person, she loves the client interaction and helping people on their journey to recovery. From general day to day aches and pains from sitting in an office all day to supporting fitness enthusiasts, competitive and non-competitive athletes with physical well-being and injury prevention. Outside of work, Caroline likes to keep fit and is a keen horse rider. She also enjoys walking the family’s miniature schnauzer Oscar, especially if there is a country pub involved! Adam has worked extensively across the NHS, including a role as an Advanced Specialist Podiatrist at the renowned Robert Jones & Agnes Hunt Orthopaedic Hospital. He made the move to New Zealand where he spent 3 ½ years as a Musculoskeletal Podiatrist and Lead Podiatrist, providing support and assessments for the New Zealand Academy of Sport’s elite athletes, including members of the All Blacks and Black Caps team. Since his return to the UK, Adam has worked as a private MSK Podiatrist and now provides assessment and treatment, clinical gait analysis, footwear analysis, and prescription orthotics to his clients. A keen sportsman, Adam has represented Great Britain for two years playing Ultimate Frisbee. Passionate about delivering kind, caring and professional support to our clients, Wendy is the linchpin of The Lilleshall Clinic team. She took on the role of Office Manager in 2006 and is the face of the team for many. During office hours Wendy is available to book appointments and to answer any queries that you may have. Born in Liverpool, Wendy moved to Shropshire in 2000 with her husband and three young daughters, and in her free time enjoys playing racket sports, taking part in Zumba, and walking the family’s Border Terrier.